Tom Clancy's The Division 2 is an action role-playing game developed by Massive Entertainment and published by Ubisoft. The Division 2 is a cover based shooter RPG that takes place in Wahsington D.C. seven months after its predecessor. 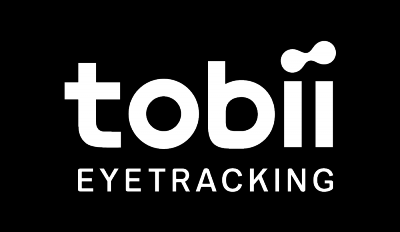 We're back again with some awesome eye tracking features! Cover is a big part of The Division. If you're not close or behind cover you will most likely not survive. Move smoothly from cover to cover with the help of eye tracking. It's a natural behavior to just glance over to the next cover you're moving to and clicking + holding a button to be on your way there. You never have to take your aim off the target. If you don't like a cluttered UI you will really enjoy Clean UI. Look at the area where the UI element you're looking for is and it will appear. When you dive into cover to avoid enemy fire. Switch to another cover by looking at the next spot, the cover icon press [space] and you will very smoothly be on your way to your next spot. Without eye tracking you have to aim at the spot you want to go but this can really make an impact on how you move from cover to cover. Hold the grenade key [G] and look at the area on the ground where you want to through the grenade. Then release the [G] key. Move your crosshair to a location on the screen, press your ADS button [RMB] and then fine adjust it to shoot and get your kill. Use your head to turn your camera and look at the edges of the screen to slightly pan the camera to that side. Keep your HUD clean from clutter with Clean UI. Most UI elements are transparent and by looking at them they will show up. Note the bubble is only there to visualize where the person playing is looking. You won't see this when playing the game.